Today, Juniper Networks (NYSE: JNPR), an industry leader in automated, scalable and secure networks, announced security portfolio enhancements that extend threat prevention deeper into the network – down to the switch level. 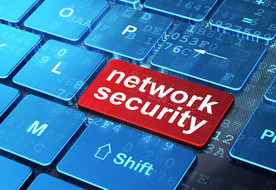 These new and upgraded solutions, launched at Juniper’s NXTWORK 2016 user conference, include a new Policy Enforcer, which automates the enforcement of security policies across the network and quarantines infected endpoints to prevent threats across firewalls and switches through Junos® Space Security Director. Additionally, Juniper Networks® Sky Advanced Threat Prevention (ATP) is now available on the vSRX Virtual Firewall as well as across the SRX Series Services Gateways, extending protection from sophisticated malware across virtual and physical firewalls. Juniper has also given customers the flexibility to meet their specific needs through new mid-range SRX4000 Series firewalls, optimized for hybrid cloud and enterprise campus environments. Today’s threats are evolving at an accelerated rate, challenging organizations to operate safely across their networks. These conditions are calling for fast and intelligent security that’s built around real-time threat prevention, automated enforcement and adaptive protection. Juniper’s Software-Defined Secure Networks (SDSN) platform addresses this need with an open and unified architecture, and by extending security enforcement across the entire network. With the solutions announced today, users can rapidly react to newly identified threats across the network. These capabilities allow organizations to leverage simple user intent-based threat policies and take advantage of integrated threat prevention that detects attacks, while dynamically updating enforcement at multiple points throughout the existing network infrastructure. This innovative approach reduces the need for manual updates and automatically applies policies and enforcement rules, driving down the costs of managing network security. When combined with the ability to leverage the network itself for multiple enforcement points across the infrastructure, enterprises are able to stop threats closer to infection points and prevent threats from spreading, which greatly improves the efficacy of security operations. o Policies enforced in real-time that adapt as threats evolve to better protect the network and its users. o Unified visibility, analytics and management of security throughout the network. o vSRX integration with Sky ATP to deliver advanced threat prevention from the cloud with the ability to detect a broad array of malicious malware. o The new SRX4000 Series, including SRX4100 and SRX4200, are compact mid-range, next-generation firewalls that provide cutting-edge performance at a compelling price point. They include advanced threat prevention from the cloud with the ability to detect a broad array of malicious malware through Sky ATP, as well as seamless integration with vSRX for public cloud and hybrid environment. o SRX4100 and SRX4200 also provide advanced L4-L7 services, including Content Security, AppSecure and Unified Threat Management (UTM) as well as a “single pane of glass” management with Junos Space Security Director. · Network Design and Architecture Center for Software-Defined Secure Networks: Juniper’s new Design and Architecture Center portal for Software-Defined Secure Networks allows customers and partners to easily navigate through aggregated, multimedia rich content for a seamless information experience.